Vitamins and minerals are essential for our body and help us stay healthy and active, that’s what we have learned from the time we were in middle school. The use of vitamins though and it’s intake is not just restricted to how well the body can function, our skin needs the right amount of vitamins to look good too. Vitamin C, for instance, is used extensively in many beauty products today. However, we need vitamins for more things than just looking good. Yet, the value of vitamins can never be underestimated. They supply our body with the needed nutrition and also do a world of good to our external and internal body parts. We will discuss each vitamin and find out foods which are rich them in so that you can create the perfect diet for yourself and receive your daily dose of all vitamins. Try to consume less of fatty foods and foods high in sugar and focus on these food items more. Vitamin A helps in proper vision and gene transcription. It also improves the health of our skin and boosts to the immune system. Vitamin A deficiency can lead to improper vision and even blindness and make one suffer from viral infections. Foods which are rich in Vitamin A are cooked sweet potato, cooked carrots, dark leafy greens, squash, lettuce, dried apricots, cantaloupe melon, sweet red peppers, mangoes and tuna fish. Vitamin B12, also known as Cobalamin and helps to increase blood levels in the body, keeps the body active and mind fresh. People who suffer from this deficiency may experience permanent damage to the brain or nervous system. The main food items that are rich in this vitamin are cooked shellfish, liver or beef, fishes like mackerel, crabs, fortified bran and also soy products such as silken tofu, red meat, skimmed milk, swiss cheese and eggs. Vitamin C is quite essential for the body as it helps maintain tissues, cartilages and blood vessels. It is an antioxidant which reduces stress levels in the body and also lowers the risk of cancer. The major food items that are rich in this vitamin are yellow bell peppers, dark leafy greens, broccoli, kiwi, citrus fruits such as oranges and clementine, strawberries, tomatoes, papayas and peas. Vitamin D is important for the body as it helps in complete absorption of calcium, cell growth, bone development, immune functioning, reduction of inflammation and also neuromuscular functioning. Vitamin D deficiency can make the immune system weak, increase risk of cancer, leads to hair fall, and weaken the bones and muscles. The foods rich in this vitamin are cod liver oil, oily fishes like trout, mushrooms, fortified cereals, tofu, cheese, egg yolks, caviar and dairy products. Vitamin E helps to protect the body against diseases of the heart, cancer and also eye-related problems. It also makes the skin soft and smooth and nourishes it from within. Vitamin E should not be consumed in large quantities though. You will find Vitamin E abundantly in silken tofu, cooked spinach, nuts like almonds, sunflower seeds, avocados, shellfish, rainbow trout fish, olive oil, broccoli, squash and pumpkin. During the holiday season, providing healthy food options isn’t typically something many of us focus on. We tend to want to provide or offer something to our guests that tastes fabulous without focusing on calorie content. What if there was a way to incorporate healthy with great taste? 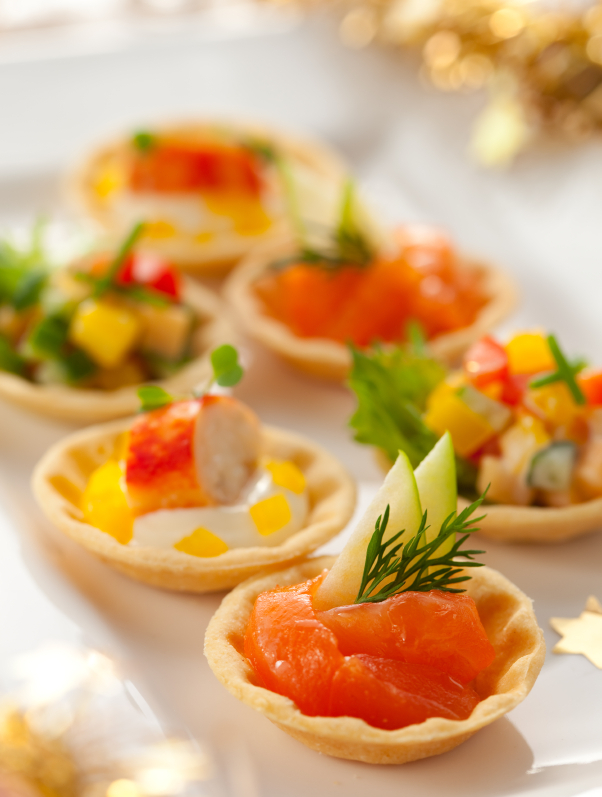 Resveralife brings you a few hors d’oeuvres that give you the best of both worlds. The best part is, your guests will love them and never be able to tell they are less fat and less calories as they don’t lack in flavor or taste. 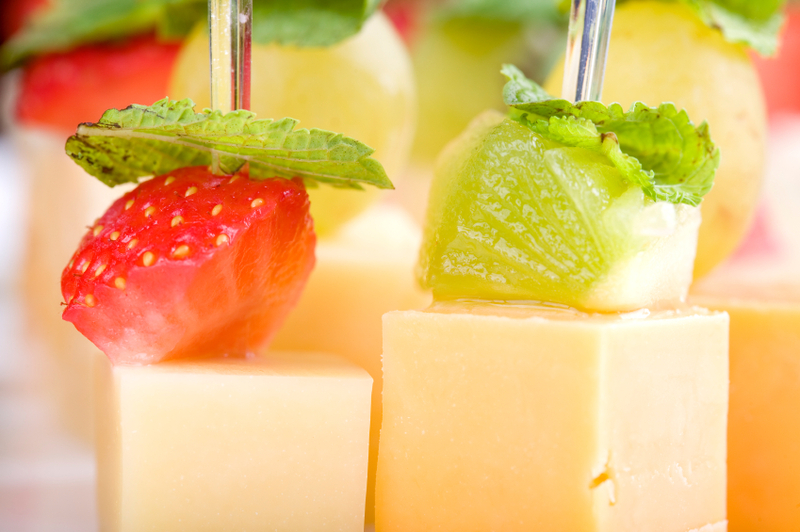 The accompaniment of fruit and cheese is a timeless classic. Serve with wine for the perfect touch. Super easy and quick to make, you can make a couple of trays in no time. With only 26 calories and 1 gram of fat, you simply cannot go wrong with this delicious concoction. 1. Halve all of the grapes. 3. Place two grape halves and a small chunk of cheese into the foil cups and place on a festive tray for serving. Grapes are a healthy fruit which contain resveratrol, which contains anti-aging properties that benefit the skin. There are also as many vitamins and minerals which are easily absorbed as well as a high fiber content. Reggiano Parmigiano cheese is also low in fat and calories. This is a great finger food for your guests, and will disappear quickly. Crab meat is a delicious and protein filled shellfish which is enjoyed by many people. Be sure to make sure none of your guests have any shellfish allergies before incorporating this into the menu. These delicate crab meat cups offer a delicious taste of something elegant with only 46 calories per cup. Divide the crab meat between all of the phyllo shells. Add ½ teaspoon of the lemon mayonnaise as a topper to the crabmeat in all shells. Place a small cube of avocado into each shell, and top with a small watercress leaf. Simple and easy to make in three steps, these crabmeat cups are a surefire way to impress your guests and keep them talking. 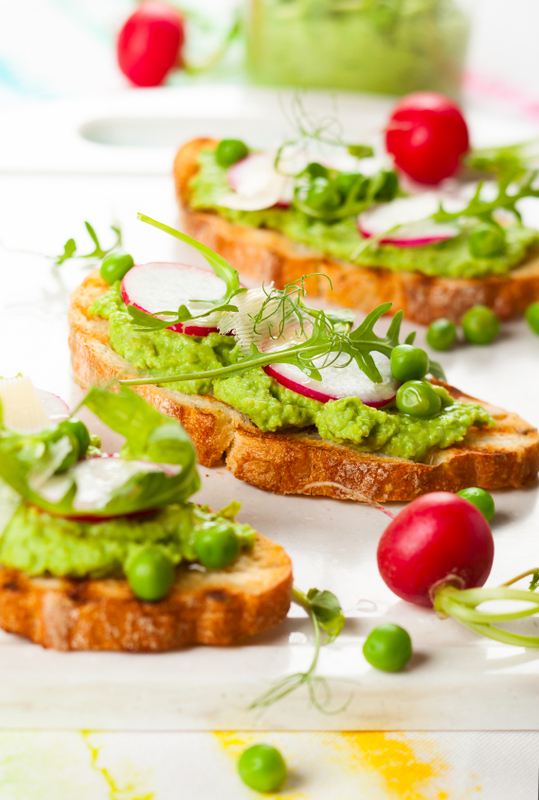 While not everyone is a fan of peas, this pea crostini is sure to change their minds. Delicious and hearty with only a few minimal ingredients, these are sure to fly off the serving trays – and the best part? They contain a minimal 35 calories and 3 grams of fat. You can double the recipe to feed more people. Blend first 3 ingredients in a food processor until smooth. Spread 8 oz. of goat cheese on crostini, followed by a spoonful of the pea mixture. Top off with a small slice of watermelon or beets for a pop of flavor. Peas, although small in size, pack a major punch in terms of protein, fiber, and micronutrients. They also contain polyphenols, which aid in the prevention of certain types of cancer. Extra virgin olive oil, and any olive oil for that matter, is good for moisturizing and hydrating the skin. This is a great accompaniment to your Hors D’oeurves spread. Try one of these simple, healthy, and delicious recipes for your next gathering or party, and you’re sure to please. Resveralife would like to believe that all there is to recipes is ingredient lists and preparation steps, but that would be far from the truth. There are times when you discover that despite following the recipe to the letter, the dish ends up being an epic fail. Some of the main reasons why recipes end up failing include missing ingredients, incomprehensible terms, lack of personalization, and more. To help you increases your chances of success when it comes to preparing the right recipes, Resveralife brings you an Eat Well Guide for more successful holiday recipes. Start off by properly reading the recipe. Browse through the cooking utensils required, the ingredient list and the cooking time. You’d be surprised at how much the little details matter. If you find certain jargons that seem to be incomprehensible, search for meanings online. When it comes to the picture of the dish being shown in the recipe, don’t get fooled. Your dish won’t look anything like the picture. These photographs were shot by professional photographers in studio environments. The ideal way to start off with recipes is to follow it exactly as mentioned during the first attempt. Do not try to increase/ reduce the portions or substitute ingredients. Once you gain your confidence of preparing the recipe, you can always start experimenting with the ingredients and the flavors. It is also important for you to understand that you should never try out a new recipe when you’re serving them to guests. Always stick to tried and tested methods because it reflects poorly on you if the recipe turns out to be a major flop during an event or a get-together. The ideal place to try out new recipes is during those family meals. There are some recipes which are perfectly explained and then there are those which are incomprehensible. The best recipes are always long enough and highly detailed. Short and to the point recipes are usually vague and confusing. The more details and advice a recipe offers, the easier it is to replicate the results. Stick to recipes that follow the most basic recipe rules – a decent introduction, a list of ingredients, nutritional information and preparation steps. We often come across all sorts of recipes in newspapers and magazines that are given by world famous chefs and celebrities – things like “Cupcakes – The Way X Makes Them”. It is important to consider that such recipes are usually full of errors, omissions and estimations. When journalists write about such recipes, it is usually to fill in the article space and interview famous personalities. The focus of the entire recipe is to showcase the chef’s image rather than offer the right recipes to readers. You can always use such recipes as a source of inspiration to improve on your existing recipes, but never base your dishes on these recipes. 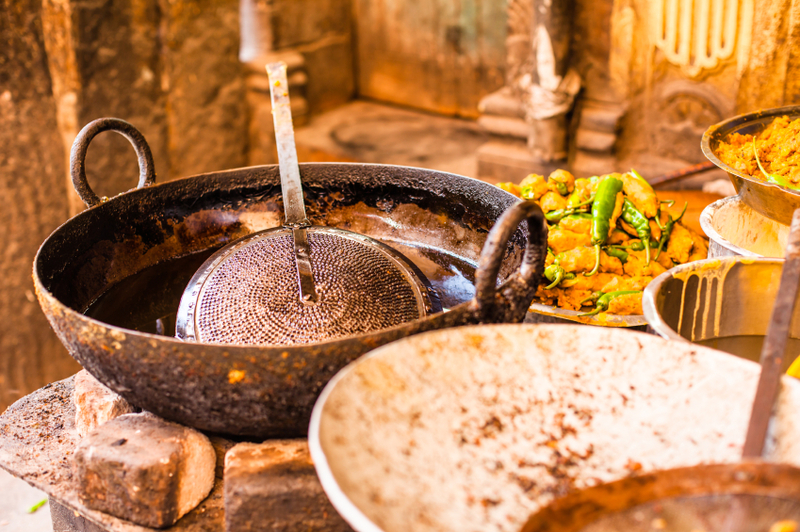 Ultimately, when it comes to cooking, you can only get better with regular practice. The more you cook, the more you learn about various tastes and flavors. Women across the globe have a constant need to have beautiful, soft, glowing skin. That’s why it’s no surprise that the beauty and skin care industry is a multi-billion dollar industry. Women will pay whatever it takes to look fantastic and have perfect skin. What if there was something you could do on your own, without products or surgeries, which required no out of pocket expense other than a few groceries? It has been said that the best way to nourish your skin is from within. That’s why today, Resveralife would like to give you some insight as to the different types of foods you can eat to achieve and maintain healthy, silky skin. Incorporating as many servings a week as you like of the above fruits, vegetables, proteins and grains is one of the best bets if you would like to care for your skin the natural way, and begin living a better eating lifestyle. Diets don’t work, but making permanent changes in your diet will work because eating better is a lifestyle choice, not a fad. Resveratrol thought it would be fun to include a few recipes using some of the above ingredients for you to try out at home. Let us know what you think after you’ve tried them for yourself. 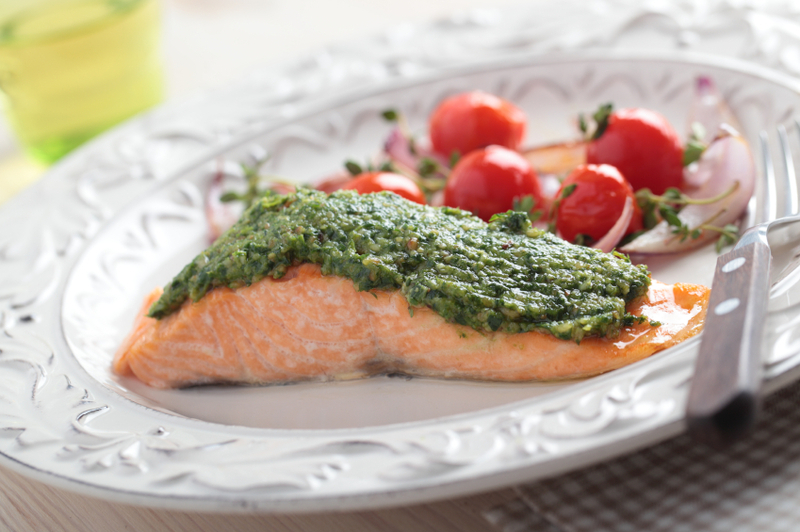 Slather your salmon filet front and back with the pesto sauce, and wrap lightly in aluminum foil or parchment paper. Pop filet into the oven for approximately 20 minutes or until filet is done and flaky. The health benefits of the fish coupled with the health benefits of the pesto will provide your skin with a wonderful dose of moisturizing ingredients. It’s a meal you can feel good about. Pair this fish with some steamed or grilled vegetables, and some wild rice. Perfect! Add all of the above ingredients to your blender and blend on high until smooth, only about 10-15 seconds. Drink to your health, and also your skin’s health! This delicious breakfast smoothie is loaded with antioxidants, protein, Vitamin C, and UV fighting components. We hope this informative article has helped you understand the ways in which you can eat better, and heal your skin from the inside out – and maintain it for your skin to look its absolute best. What are some of your favorite foods to eat to care for your skin? How do you use these ingredients? Tell us below. Now found in supplements and many skin care products the phenol compound Resveratrol is being hailed by scientists, health professionals and beauty experts as the newest wonder product due to its many health benefits. However, you do not need to purchase fancy health and beauty products to get your fix of resveratrol as it is found naturally in many food products. Here we take a look at the super foods containing Resveratrol and how they can benefit your health. Just before we discover what foods contain this wonder product we need to know exactly what it is and what the benefits actually are. Resveratrol is a plant phenol that is a powerful antioxidant as well as anti-inflammatory. Research into the compound has shown some of the many health benefits include lowering cholesterol, targeting insulin resistance which the precursor to diabetes and promoting general good health. As it works on a cellular level to encourage longer cell life it is even thought to slow the onset of Alzheimer’s disease and even limit the spread of cancer cells. Resveratrol’s powerful capabilities of prolonging cell life also make it the must-have ingredient for many anti-aging products. So, what are the super foods that contain such a miraculous compound? One of the best foods featuring resveratrol is red grapes. They are not only packed with the antioxidant properties of resveratrol but are also full of vitamins and minerals. The grapes loose none of their power when turned into wine; making red wine another popular choice when it comes to intake of resveratrol. Whilst the odd glass can benefit your health you must still only ever drink in moderation; overdoing the alcohol will only cause other health problems. Staying on the fruit theme, many berries are also a great source of resveratrol. Cranberries, bilberries and especially blueberries are all a good choice. 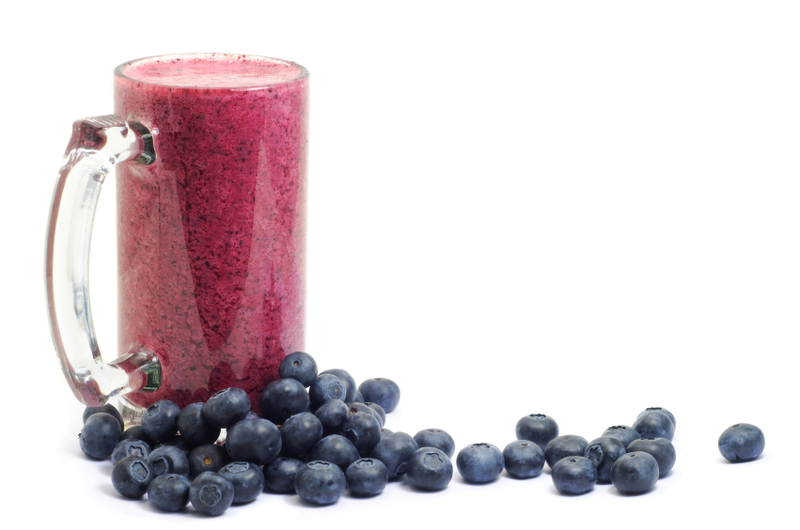 Blueberries are another example of a super food full of useful vitamins and minerals as well as resveratrol. If fruit really isn’t your thing you may be pleased to know that resveratrol can also be found in foods such as peanuts and dark chocolate both of which are also a good source of manganese; great for strengthening the bones. The benefits are the same whether you eat peanuts as they are or as peanut butter. When it comes to the chocolate, the darker it is the higher the amounts of resveratrol. Again, it is important to remember that whilst these contain good things they are still pretty high in calories so don’t go mad! For those of you who enjoy a nice cup of tea, why not try Itadori tea? For many years this has been used as a traditional remedy in China and Japan. It contains resveratrol and is thought to help prevent strokes and heart disease. It is made from Japanese knotweed and tastes very much like rhubarb. You can get your Resveratrol fix from these foods or for a higher dose try Resveratrol supplements. The United States of America has always been a popular tourist destination for people all over the world. The country enjoys a high standard of life and attracts millions of tourists from every corner of the world year after year. A trip to the United States requires a lot of planning and you’re bound to try out new cuisines or dishes every single day. Now, if you’re a skin care enthusiast like we are, you would be well aware that traveling causes a lot of damage to your skin. It might not be entirely possible to follow a definite skin care routine on a holiday, but it is more than possible to add a few superfoods into your diets so that these powerful items can give you the extra protection that your skin and your body needs. Here is a list of the all-star superfoods for the top 5 most touristed states in the United States. The sun and the sand, the lure of Hollywood, trips to the Alcatraz, world famous cities like San Diego, San Francisco and Los Angeles; how do you fit everything into a single trip? You cramp up everything and push your body to the limits. And what gets affected the most? Of course, your skin does. To prevent this from happening, try out the locally grown Avocados. Californians love their avocados and you can easily find them all over the state. They are known to be full of fiber as well as Vitamins C and K. Avocados go a long way in delivering heart-healthy fats that boost the function of nutrients like beta-carotene and lycopene. The beaches, the countless outdoor activities, beautiful architecture and delightful cuisines mean endless explorations, a lot of walking and equal amounts of partying as well. So what can you choose in New York to save your skin from this damage? As they say, an apple a day, keeps the docs at bay. Apples are grown all over the state and are known to be full of quercetin, an extremely powerful antioxidant that helps you boost your memory and improve your lung function. Apples are also full of fiber, something that helps them to reduce bad cholesterol levels. Washington is home to Washington D.C., the most powerful state in the world. Politics might be the order of the day, but that doesn’t take away anything from attractions like the Smithsonian, the White House, National Museum of Natural History, National Gallery of Art, International Spy Museum and the Lincoln Memorial and Reflecting Pool. All this might seem to be too much, but you’re just scratching the surface. We haven’t even started with everything the state has to offer. Washington is definitely one of the most beautiful states in the US and it is home to spectacular scenery, beautiful forests, gorgeous lakes and excellent glaciers. The seafood and local wine are delightful as well. So how do you balance it all out? Fall in love with onions the way the locals do. Onions can help you to lower your cholesterol levels, reduce the risks of heart failure and regulate your blood pressure. Red onions are particularly rich in quercetin, the same antioxidant that makes apples famous. The Everglades, the Keys, Universal Studios, Disney adventures, breathtaking beaches and wild South Beach parties – the ideal concoction to damage your skin like no other. Luckily for you, the official fruit of the state is good enough to negate any damage caused during your holidays. Oranges, the poster girls for Vitamin C, also offer filling fiber that help you to keep your taste buds at bay. And we don’t need to describe the skin benefits of Vitamin C, do we? There’s just so much to do in cities like Houston, San Antonio and Austin and then there’s the Wild West lifestyle to enjoy as well. Balance out all the ruckus with the help of grapefruit, the official fruits of the state. Grapefruits are known to be an amazing source of Vitamin C and fiber. This helps you to take care of your skin and stop your tummies from stomping their weight around every time you pass an inviting restaurant or café. Furthermore, grapefruits are also full of water. This helps you to stay hydrated while you’re trying to make a mark with those cowboy hats and cowboy boots. Healthy eating might not sound attractive when you have those delicious cakes, tasty looking pizzas and beautiful pastas to choose from. After all, who would choose a salad instead of fries or burgers? But, you’d be surprised to know that healthy eating doesn’t always have to boring. You can create some of the most glamorous dishes without compromising on the taste. Here is a list of some of the top food items that make eating well easy. No single food item on this list might be a cure-it-all, but each item definitely plays a significant role in improving your health as well as our skin. Red Pepper is yet another food item that is highly beneficial for pregnant ladies. It is full of Vitamins A, C and B6. Red pepper is also known to be one of the best ways to eat vegetables. Add them with your pasta dishes, grill them, chop them into your salsa or serve them with with the sandwiches – the options are endless. Beans are considered to be extremely beneficial for the heart. According to a study that was published in the Journal of Nutrition, about ½ cups of cooked beans can help the body to lower its cholesterol levels. Beans are also responsible for producing short-chain fatty acids that inhibit the formation of cholesterol. Furthermore, beans contain flavanoids, healthy ingredients that are usually found in chocolate and wine. Flavanoids are known to help in reducing the chances of strokes and heart attacks because they prevent platelets from getting attached to the blood stream. Yogurt has been proved to be highly beneficial against gum diseases. According to a study that was published in the Journal of Periodontology, people who consume higher volumes of yogurt have the healthiest gums. This is also said to help in countering the growth of bacteria in the month, boost the immunity levels and improve the digestive systems as well. However, the amount of yogurt that needs to be consumed in order to reap its benefits is still not crystal clear. Berries are an excellent source of fiber, something that is quite lacking among Americans. Berries help in promoting weight loss (another common problem in America). Raspberries are known to offer anti-cancer properties, Strawberries aid in skin–firming and Blueberries help to increase mental sharpness. Broccoli, one of the top food items that make eating well easy, is also known to be the most favorite cruciferous vegetable in the United States of America. Broccoli is full of Vitamin A, folic acids, Calcium and Vitamin C. This makes it an extremely healthy choice for pregnant women as well. The best way to have broccoli is to stir-fry it with pasta and seafood and serve it steamed. Goat meat is considered to be the most consumed meat in the world. Yes, all you ham loving people. Other meats don’t even come close. Goat meat isn’t as popular in America, but the craze seems to be catching up here as well. And for all the good reasons. Goat Meat is considered to be extremely rich in B-group Vitamins, Vitamin E, amino acids, phosphorus, calcium, omega-3 fatty acids, copper, zinc and iron. This helps it to take care of the heart, improve cholesterol levels and reduce the chances of cardiovascular diseases. Eggs are known to be one of the best sources of high quality proteins. According to recent studies, people who ate scrambled eggs for breakfast, felt more content and satisfied in the long run. Eggs are also known to contain zeaxanthin and lutein, antioxidants that can help you in keeping your eyes healthy and reduce the risk of muscular degeneration. Luteins also offer a natural form of protection against the harmful UV rays of the sun. Whole Grains help in keeping you leaner and also reduce the chances of heart diseases. Whole grains are known to contain phytoestrogens, phytosterols and antioxidants, all three of which are known to protect the body from heart diseases. According to a study conducted by the Harvard University, those who eat whole grains have a 40% lesser chance of heart diseases. Of course, this list offers you with just some of the food items that make eating well easy. There are a number of other ingredients that you can choose and enjoy similar benefits as well. Some of the food items that deserve special mention include kiwi, oranges, papaya, apricots and yams.